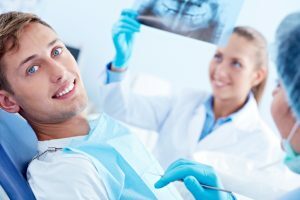 What Does a Cosmetic Dentist in Federal Way Do? If your smile features chips, stains and gaps, you may feel less than satisfied with how you look and with how confident you feel. That’s an understatement, right? Defects in smile aesthetics can be downright demeaning and may hold you back socially and professionally. That’s why cosmetic dentist in Federal Way, Dr. Drew Beaty, takes such an interest in the shape and color of your teeth and gums. He employs several amazing tools to make your smile represent who you really are inside. If you want to enhance your smile aesthetics, the first step is a cosmetic dentistry consultation in Federal Way. Dr. Beaty will examine your mouth to be sure your teeth and gums are totally healthy. With that in place, he will discuss your smile goals, options, budget and treatment timeline. Digital photos, X-rays and intraoral camera imaging give the dentist and you a clear view of your mouth and its potential for change. Then, Dr. Beaty will create your custom treatment plan. It will include one or more options which will improve your look. Professional teeth whitening focuses on tooth color. Over time, stains from smoking, food and drinks darken enamel. But, the extra-strength bleaching gel applied by your cosmetic dentist removes these stains effectively and safely–with no residual tooth or gum sensitivity. Color improves by many shades and stays bright with professional cleanings, good home hygiene and occasional touch-ups. Porcelain veneers strengthen and enhance teeth that have noticeable chips, cracks, stains, gaps and other defects. Often called “instant orthodontics,” these custom-made laminates are applied permanently to the front side of one or more teeth. Often combined with other cosmetic services, they last for ten years or more with good care. Direct bonding uses composite resin to repair gaps, pits, uneven tooth length and more. Applied during a quick dental appointment, this blend of acrylic and glass blends in with natural tooth structure and is hardened and polished to a smooth finish. The putty-like resin also is used to restore tooth decay for seamless, metal-free fillings. Metal-free crowns, inlays, and onlays repair extensively decayed or injured teeth. Made from dental porcelain, tooth-colored restorations cover and protect teeth anywhere in the mouth for look and function that lasts for years with good care. Bridgework is metal-free, too, and white crowns may cover dental implants, today’s superior tooth replacement option. Dr. Beaty feels that people with healthy, attractive smiles function better and live longer, happier lives. How would you feel if your smile defects just disappeared? They can with aesthetic services from Dr. Drew Beaty. Contact his office in Federal Way today to arrange your consultation with this top Seattle dentist. Comments Off on What Does a Cosmetic Dentist in Federal Way Do?